Thomas Rood was born on August 20, 1942 in Chicago to Thomas and Margaret (nee Aller). He died Wednesday, March 27, 2019 surrounded by family. Mr. Rood worked as a director of advertising control for the Walgreen Corporation in Deerfield. He was a member of St. Francis de Sales Catholic Church in Lake Zurich. Tom was active in the Lake Barrington Shores Community in Barrington and was a member of several Bridge Clubs at LBS. He loved to spend time with his friends and family and was loved by many. Thomas is survived by his best friend and life partner Cecily Rood; children, James (Lauren) Rood, Jennifer (Mark) Rudicil, and Julie (Todd) Rood-Brage; grandchildren, Bobby Nickrent, Jordan Nickrent, Rachael Rood, Madison Nickrent, Lizzie Brage, Molly Nickrent, Evan Brage, Quinn Brage, and Thomas Aaron Rood. 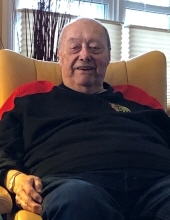 Visitation Sunday, March 31, 2019 from 3:00 pm until 8:00 pm at Glueckert Funeral Home Ltd., 1520 North Arlington Heights Road (4 blocks south of Palatine Road), Arlington Heights, IL 60004. Prayer Service 11:00 am, Monday, April 1, 2019 at the funeral home. Burial at St. Michael the Archangel Cemetery. In lieu of flowers memorials may be given to St. Vincent De Paul Society, c/o St. Francis de Sales Catholic Church, 11 S. Buesching Road, Lake Zurich, IL 60047. "Email Address" would like to share the life celebration of Thomas Rood. Click on the "link" to go to share a favorite memory or leave a condolence message for the family.